JF Electric was founded in 2010 by John and Kelly Farrow. John is an experienced electrician and project supervisor who is currently licensed as an unlimited Electrical Contractor in the state of Oklahoma. Kelly is a CPA with years of accounting and business management experience. 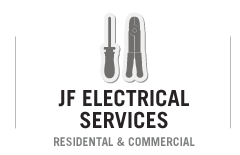 JF Electric performs all types of electrical work including residential, commercial, and industrial service work, remodel projects, and preventive maintenance as well as new construction and insurance claim projects. EXPERIENCE. 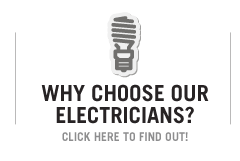 John has worked almost 30 years in the electrical service industry and will bring to your project a comprehensive understanding of every detail involved in the installation and implementation of your electrical needs. KNOWLEDGE. 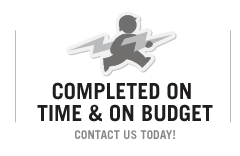 We will work closely with you to identify your specific needs and customize a plan to fulfill them on time and on budget. We believe in transparency with our customers so we’re up front with our pricing and we keep you fully in the loop throughout the entire process. PROFESSIONALISM. We never take shortcuts. Our team will provide workable options within code requirements to get the most value out of your budget. We understand that it’s difficult to have someone in your office while you and your employees work, so we are committed to being as clean, conscientious and inconspicuous as possible during our stay. FLEXIBILITY. No job is too small. We’ll address your electrical needs no matter the size. TRUST. Our current customers leave us the keys to their homes and businesses, knowing they can count on us to safeguard their belongings while they’re away. We’re humbled by the positive feedback we receive and can readily provide referral information from satisfied customers.